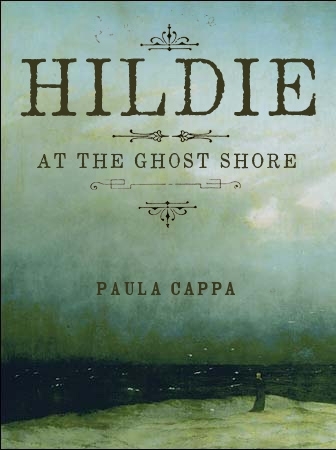 Who is the best ghost story writer of all the women writers out there? One could name the memorable oldies Edith Wharton, Shirley Jackson, Elizabeth Bowen, Amelia Edwards, Mary Elizabeth Braddon. A contemporary that I’d like to name for this final week of Women In Horror Month is Sarah Waters. 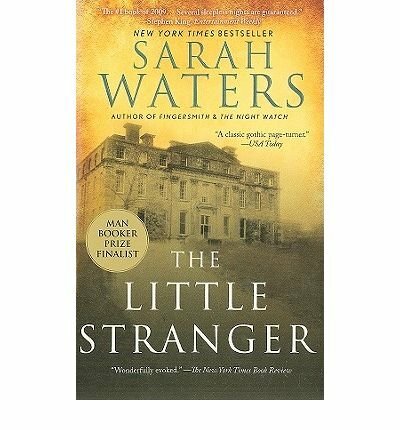 If you haven’t read The Little Stranger, this Gothic ghost story is a treat in old-fashioned British style. This novel was a Finalist for the Man Booker Prize. Hundreds Hall, is an 18th-century Georgian estate in rural Warwickshire, England. 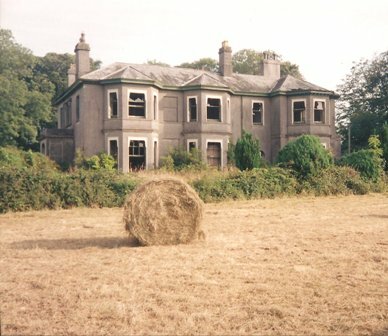 The Ayers family is struggling to keep up the dilapidated estate. Dr. Faraday is a country physician and called to attend a patient at Hundreds Hall. 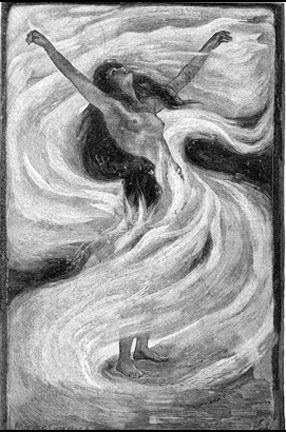 He becomes enchanted with the daughter Caroline Ayers. 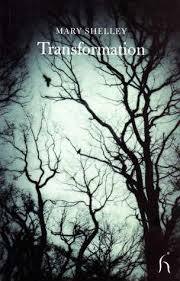 Supernatural events, decay, loss, deaths, a suicide drive the story to a shocking ending. Faraday’s voice in this story is highly compelling. And Waters writes the malevolent action into a pulsation and with atmospheric spells that heighten the mystery. 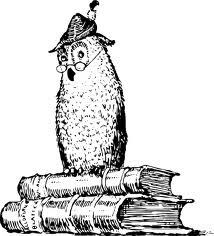 You will find some flavors of Poe, Dickens, and Henry James here. Read The Little Stranger via your library (WorldCat.org). Sarah Waters was named as one of Granta’s 20 Best of Young British Writers in January 2003. The same year, she received the South Bank Award for Literature. She was named Author of the Year at the 2003 British Book Awards. In both 2006 and 2009 she won “Writer of the Year” at the annual Stonewall Awards. She was elected a Fellow of the Royal Society of Literature in 2009. Visit her website at SarahWaters.com. The Misletoe Bride, a short story by Kate Mosse is my free read to you this week. Read it at OnebookLane.com. Kate Mosse, is an English novelist, non-fiction and short story writer and broadcaster. 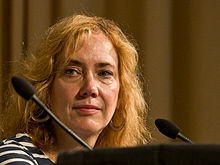 She is best known for her 2005 novel Labyrinth. Surely a worthy Women In Horror Month author to explore. 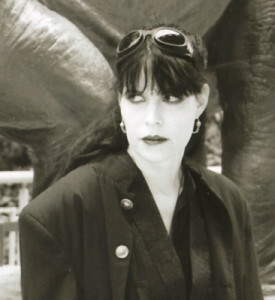 Visit her website at KateMosse.com. 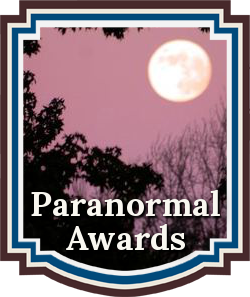 If you are interested in a list of authors who write ghost stories and supernatural mysteries, I wrote a guest post for WIHM at the Horror Society, “Dead Authors Can Still Thrill Readers.” The article was published on February 5, 2014 and you can view it at HorrorSociety.com. I hope you have enjoyed my Women In Horror Month posts for February here. There are some who feel this promotion that calls attention to women writers every February is unnecessary and even perhaps contributes to the gender disparity in Literature. I value WIHM because it spotlights appreciation for talented and crafty writers in this genre who are not men. But to be clear, we are not looking for special treatment; we are looking for equal treatment. We live in a world where it’s common to think or say ‘women writers,’ the gender describing the writer. We almost never say ‘men writers.’ Of course we prefer to be honored as writers first, and women second. In an online chat recently, a male reader referred to Anne Rice as a ‘girl’ writer. How many of us refer to Stephen King as a ‘boy’ writer? So, here’s the point for me: gender inequality still exists in our society in thought and action and certainly still exists in Literature. 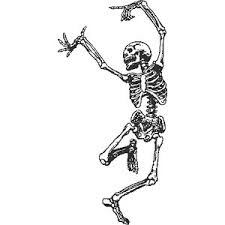 I look forward to a day when we can make the month of February “Writers In Horror Month” for all. This is a compendium of over 170 short stories by over 100 master storytellers of mystery, supernatural, horror, and ghost stories. 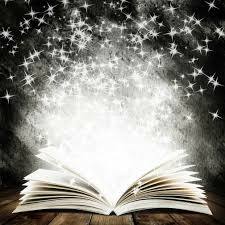 Join me in reading one short story every week! 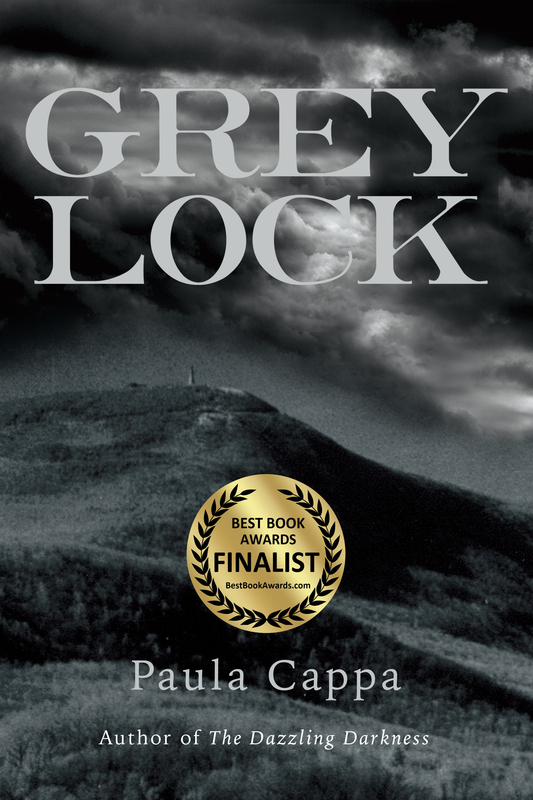 I am happy to announce that Greylock is named a Finalist at Chanticleer Book Awards for 2015 in Paranormal Awards for Supernatural Fiction. Murder mystery, romance, music, and the phantasmagoria. 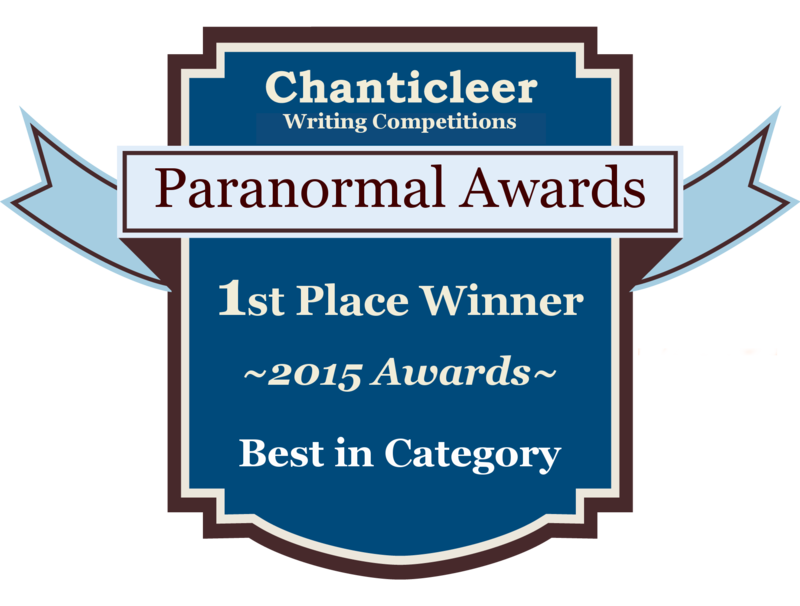 “A smart, entertaining supernatural thriller. 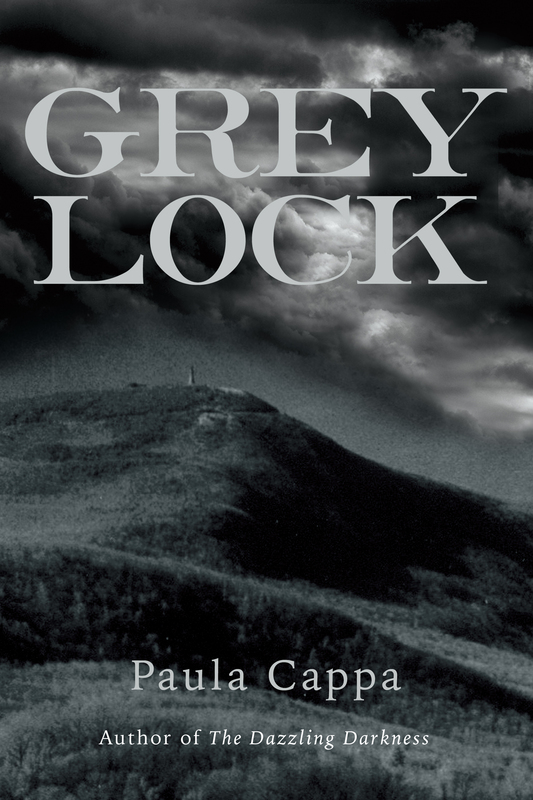 Think Stephen King meets Raymond Chandler with a score by Tchaikovsky. Briskly paced, this novel was a genuine pleasure to read.” —David Corbett, award-winning and best-selling author of The Mercy of the Night. 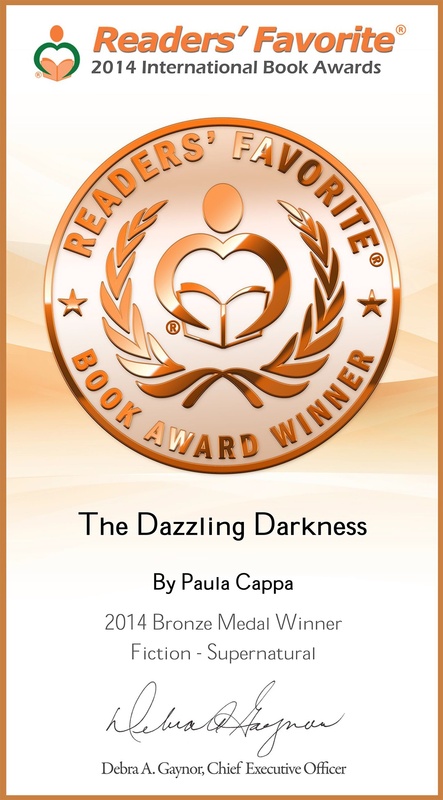 “If you’re looking for an imaginative, sophisticated read, you’ve found it. 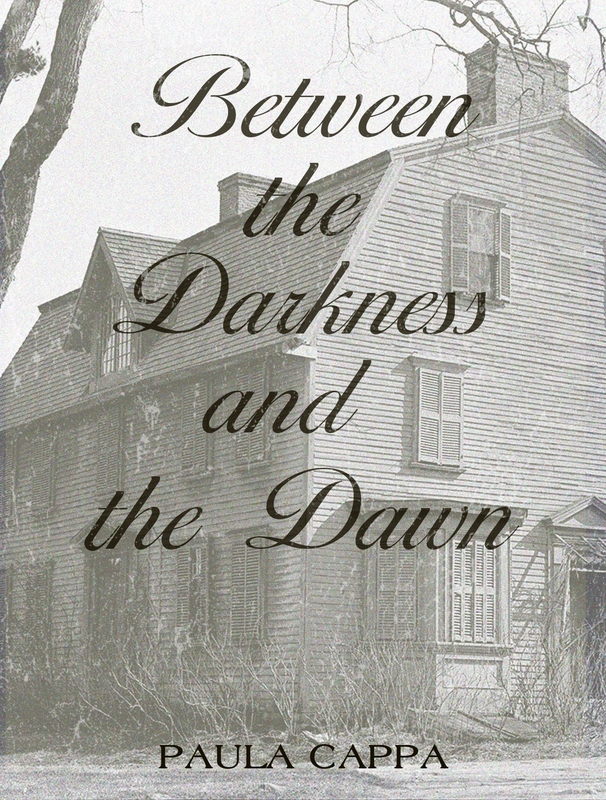 Five stars.” —Michael Schmicker, best-selling author of The Witch of Napoli. 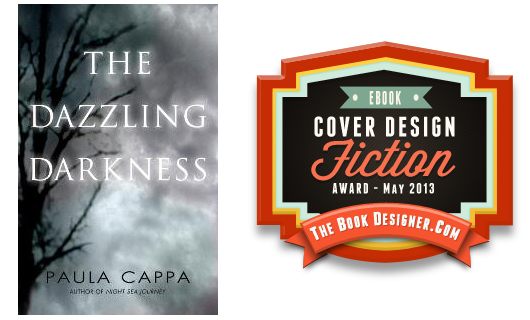 and a Gothic Readers Book Club Award Winner for Outstanding Fiction. 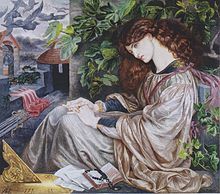 My short story Beyond Castle Frankenstein about Mary Shelley is FREE for five days on Amazon.com. 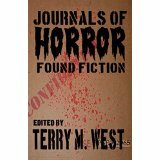 The story is in the anthology of supernatural short stories Journals of Horror, Found Fiction, edited by Terry M. West, published by Pleasant Storm Entertainment. What is this scene? 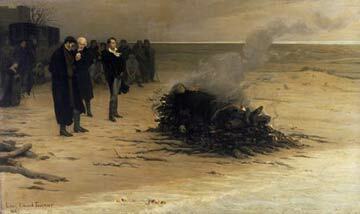 Mary Shelley’s husband, Percy Bysshe Shelley’s cremation, painted by Louis Edouard Fournier (The Funeral, 1889). Did you know that Shelley’s heart did not burn? 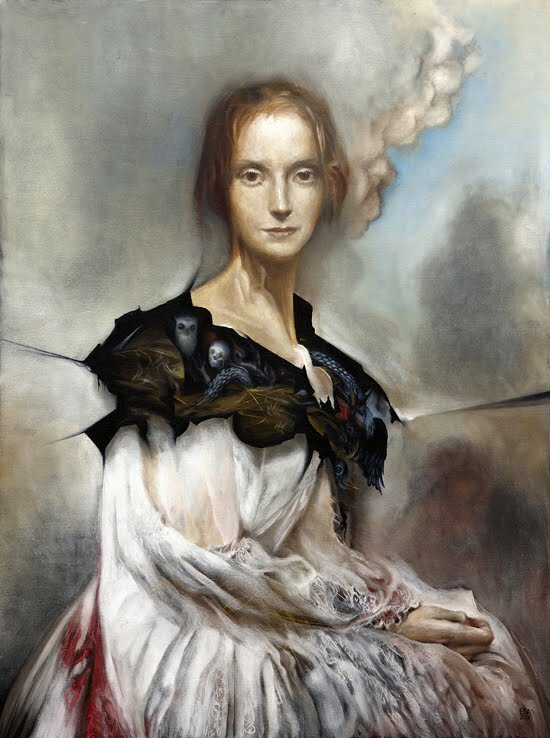 Mary Shelley kept the remains of her husband’s heart, her treasured lump of death, in a handkerchief for years. Want to read the story about it? 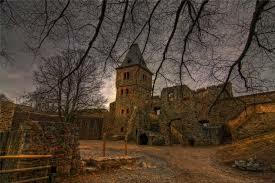 Beyond Castle Frankenstein is a ghostly one, I can promise you that. Get it FREE on Amazon at the link below. JOURNALS OF HORROR, FOUND FICTION. This anthology is filled with some of the hottest new talent in the horror and supernatural fiction genre: P.D. Cacek, Todd Keisling, Glenn Rolfe, Robin Dover, DS Ullery, Essel Pratt, Michael Thomas-Knight, John Ledger, Paul D. Marks, Sonja Thomas, Paula Cappa, Stuart Keane, Darryl Dawson, Crystal Leflar, Lori R. Lopez, Michael Seese, Jeff O’Brien, Matt Hayward, Joseph Ramshaw, Michael McGlade, DJ Tyrer, Wesley Thomas, Regina West, Evan Purcell, Robert McGough, Erik Gustafson, Christopher Alan Broadstone and Robert Holt. FREE February 19 to February 23, 2016. 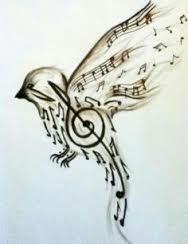 Voice the sweetest ever heard! And your barrow more …. As sunset to the sphered moon. Thou, beloved, are to me. 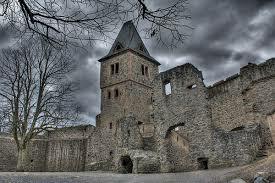 Mary Shelley sailed the Rhine in 1814 and saw Burg Frankenstein from the boat. 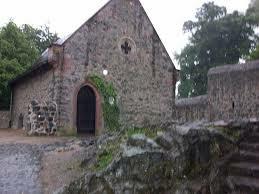 Some speculate that she visited the castle and chapel and this was the setting that inspired her novel Frankenstein. The Mary Shelley Resource Website. Guess what’s happening in January 2018? 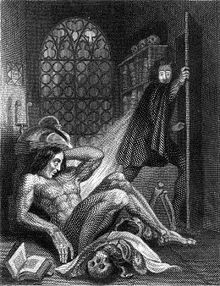 The BICENTENNIAL of the publication Frankenstein. Arizona State University will be at the forefront of the Frankenstein bicentennial celebration. “Mary Shelley wrote ‘Frankenstein’ on a dare, and we imagine dares in which writers across the planet – 18-year-olds like Mary Shelley was, as well as established authors – will compete to create stories or novels of the future Prometheus,” said Ed Finn, co-lead and director. “We imagine leading discussions about science, art, horror and imagination in salons and laboratories modeled after those of 1818, 2018, and 2118.” For more information on ASU’s Frankenstein Bicentennial celebration, visit http://frankenstein.asu.edu. In the Spotlight, author Caitlin R. Kiernan, House Under The Sea. If you’re an H.P. 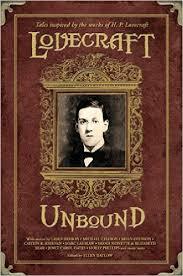 Lovecraft fan and looking to discover some new writers in this genre for Women In Horror Month reading, Lovecraft Unbound, is an anthology of Lovecraftian stories, edited by the award-winning (Hugo Award) anthologist Ellen Datlow. 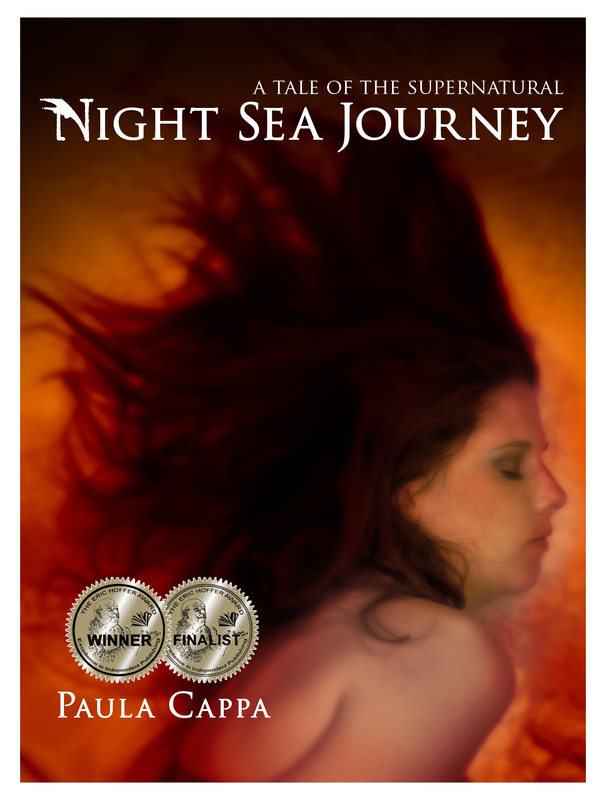 One of the authors you’ll find here is Caitlan R. Kiernan, her short story House Under the Sea. 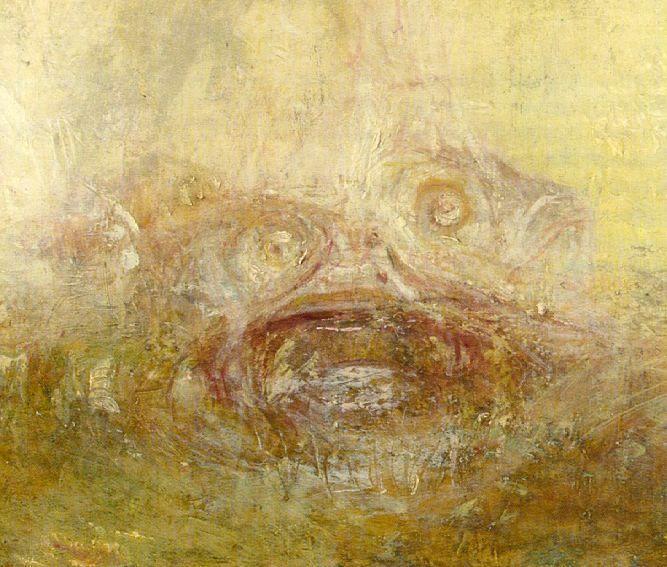 In House Under the Sea, we are not in Lovecraft’s famous Innsmouth, Massachusetts; we are in modern day California. Our narrator tells us about Jacova Angevine, former Berkeley professor, who led a cult of worshippers to their death into the sea. I found this story a bit choppy and fractured for my tastes but was glad I stayed with it to the end. This is a tragic love story mixed with weird and dreadful themes, and well plotted. Kiernan is the author of several novels, including World Fantasy and Shirley Jackson award-nominated The Red Tree and the Nebula and Bram Stoker award-nominated The Drowning Girl: A Memoir. She is a very prolific short-story author. 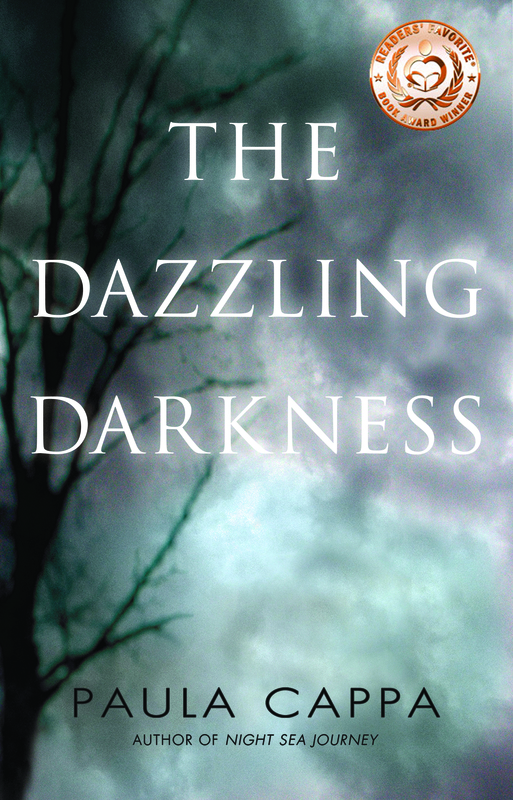 Kiernan was recently proclaimed “One of our essential dark fantasy authors” by the New York Times. She has been named H.P Lovecraft’s spiritual granddaughter. 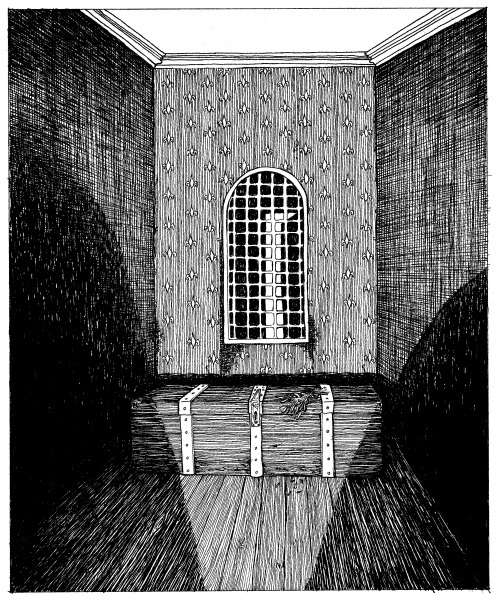 You can read House Under the Sea online at Nightmare Magazine. Stop by Kiernan’s journal website for more insights to this author. Visit Bookslut.com for an interview with Kiernan. There are plenty of modern women authors to choose from in this anthology of Lovecraft Unbound, and most of the stories are pretty amazing. I especially enjoyed The Crevasse by Dale Bailey and Nathan Ballingrud (although not women writers, this story is compelling, remarkably atmospheric, and brilliantly written). For a few more women writers in the Lovecraftian style, go to LovecraftEzine.com, and you’ll find a post of their Top Five Women Lovecraftian Authors. H.P. Lovecraft (1890-1937.) is considered the world’s greatest horror and sci-fi writers. He is most famous for his The Call of Cthulhu and The Case of Charles Dexter Ward. He coined the literary terms, “cosmicism” or “cosmic horror.” You can watch a short bio on YouTube.com. Don’t forget to view the INDEX above of more free Tales of Terror. 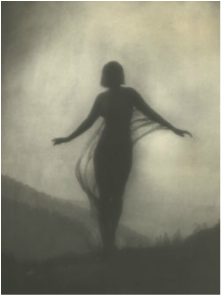 This is a compendium of over 170 short stories by over 100 master storytellers of mystery, supernatural, horror, and ghost stories. Join me in reading one short story every week! So, how’s your literary cosmos been lately? Need a boost? Ray Bradbury’s Zen in the Art of Writing was published in 1996, but the wisdom here is timeless. The creative side to writing fiction, the joy, the muse, the long road ahead that Bradbury explores in these chapters will inspire and cheer you. Bradbury asks, what does writing teach us? “To be alive!” Yeah, and his energy is on every page of this book. Zest, gusto, excitement! He echoes what Stephen King says about writing fast and furious in a heat. Bradbury advises “The faster you blurt, the more swiftly you write, the more honest you are.” No self-conscious writing now; honesty is the key to real stories. He wants us to leap upon the truth. While Bradbury has written hundreds of stories in some forty years, he states that each tale was a way to finding himself. I really liked this idea because writing is a destination and often times the journey is in the dark. From the tone of this book, Bradbury sounds like he is ruthlessly honest with himself. His suggestions about creating characters are simple: “Find a character, like yourself, who will want something or not want something with all his heart. Give him running orders. Shoot him off. Then follow as fast as you can go. The character in his great love or hate, will rush you through to the end of the story.” Hot diggity! I love this idea. Let go of all the controls and have fun. Have you ever let a character just move and speak on the page without directing? That kind of writing can be so exciting. Plot? Oh my, he’d get a big fat F from most traditional writing teachers for this one: “Plot is no more than footprints left in the snow after your characters have run by on their way to incredible destinations. Plot is observed after the fact rather than before. It cannot precede action.” This man totally speaks my language since I never plot my novels in the early drafts. And then there’s the Muse. This chapter alone “How to Keep and Feed a Muse” is worth the price of the book. Here the subconscious rules, the mighty intuition. This fantastic storehouse inside us is the source of all creativity. What to feed your muse? 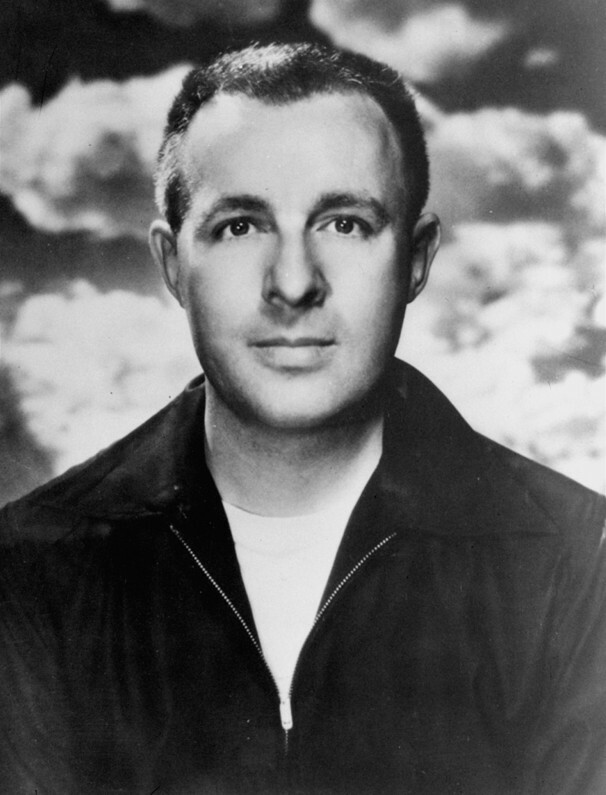 Bradbury says to read poetry every day. Dive into books of essays. Don’t be a snob though, help yourself to equal parts trash and treasure. And feed your senses; take long walks and observe and absorb. 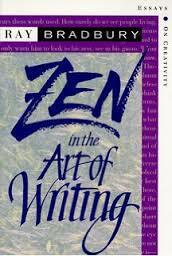 To keep the Muse you must work regularly, work well, and “stay drunk on writing.” Stay alive! If you are thinking you have to slant your stories for the commercial market or slant it for high literary kudos, Bradbury say both directions are wrong and thwart the honesty of the writer and the truth of the story. He names it a lie to write in such a way aimed at being rewarded by money in the commercial market. It is also a lie for the “self-conscious literary” writer to quill a few paragraphs a day imitating the flourishes of Virginia Woolf or Jack Kerouac. Free yourself of literary cant and commercial bias. Bradbury believes that “quantity will make for quality” because quantity gives experience. So what’s his formula? Available on Amazon.com or your local library. Next on my list, I’m reviewing Jack Grapes’ “Method Writing” which focuses on finding the writer’s deep inner voice and activating the creative process to empower your writing. Can’t wait! My Recommended List of the Best Writing Books I’ve Read. 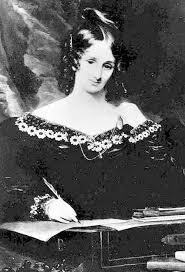 Mary Shelley is the first name that comes to mind when we think of women who write horror and Gothic fiction. 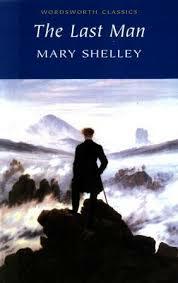 Did you know that when her husband Percy Bysshe Shelley was cremated, his heart would not burn? Some say it was because of a health condition; others say it was because of Mary’s deep love for him. Percy’s friend Edward Trelawny snatched it from the cremation fires. Legend has it that Mary kept the dried up remains in her desk. I wrote about this in my short story Beyond Castle Frankenstein, a historical ghost story. One of her novels not so popular and these days overlooked if not completely forgotten is The Last Man. 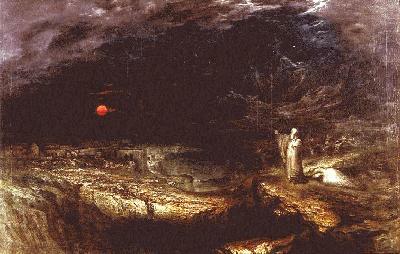 This is a bleak portrayal of the fall of mankind (isolation, loss, a plague); the title gives away the ending. 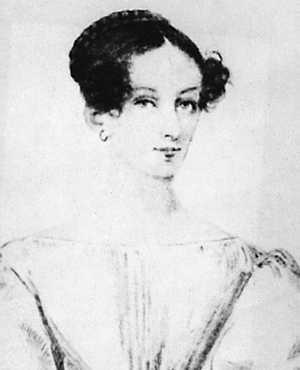 Published in 1826 (written after her husband’s death), it received terrible reviews, but was Mary’s favorite novel (semi-autobiographical). It was republished in 1965 to far more critically acclaimed praises. 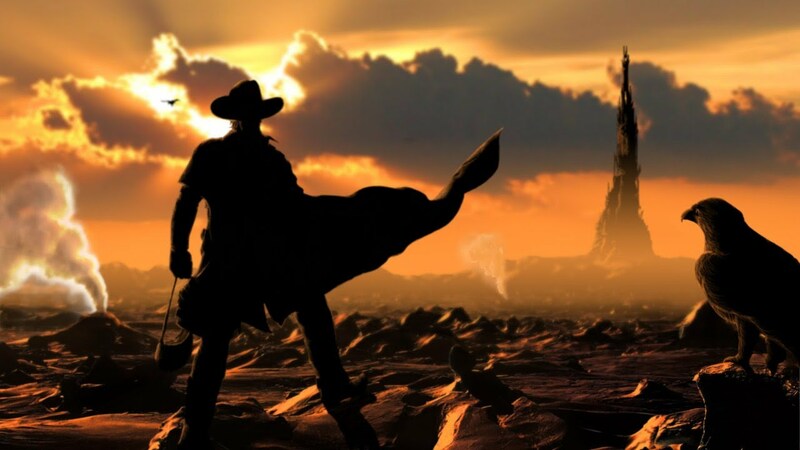 Readers who love apocalyptic stories–future time around 2100—might love it, but it is indeed a dense read (the book doesn’t get really hit until about page 200). Frankenstein is clearly the better novel. 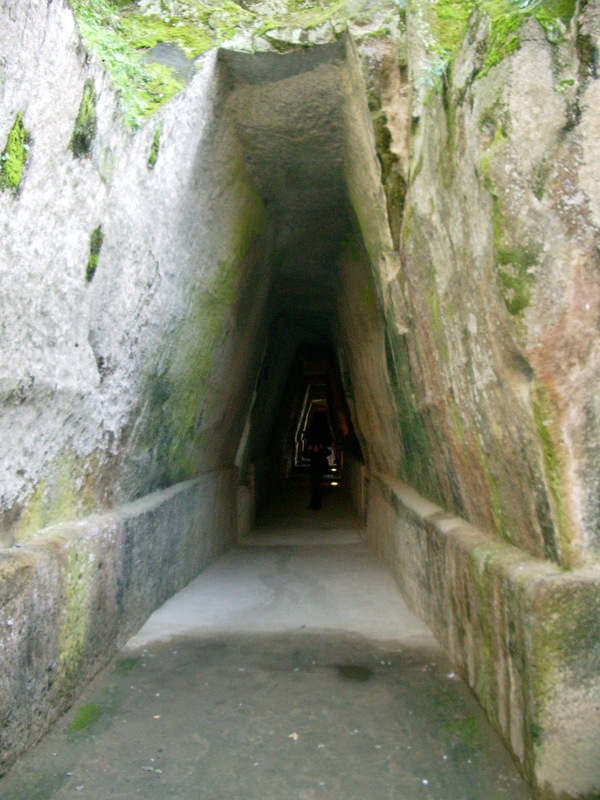 Entrance to the cave of Sibyl. Listen to the audio book at YouTube.com. This is a compendium of over 170 short stories by over 100 master storytellers of mystery, supernatural, horror, and ghost stories. We are celebrating Women in Horror all this month. But not just horror. 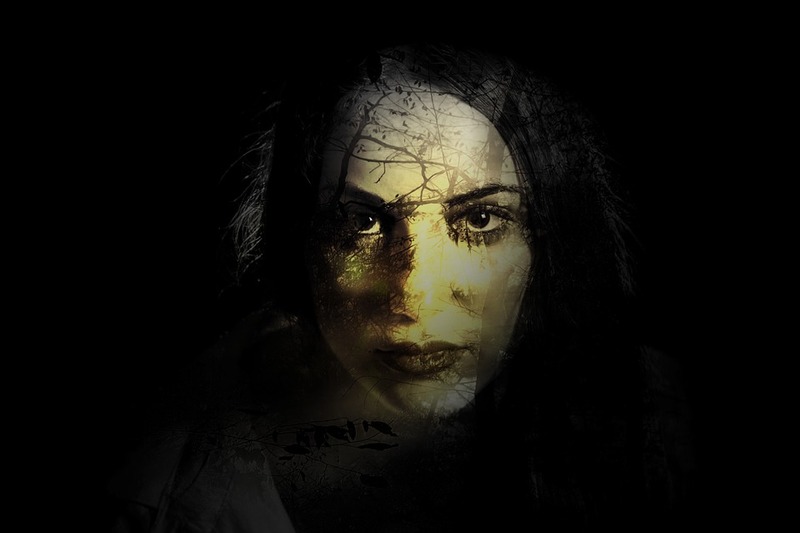 We all recognize the names Shirley Jackson, Anne Rice, and Mary Shelley, among lots more women who write horror but also supernatural mysteries, dark fantasy, and ghost stories. 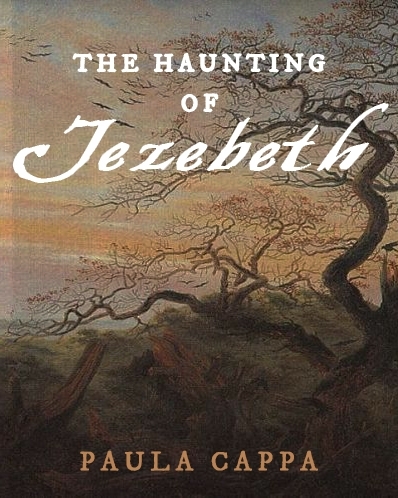 Have you experienced the stories of Elizabeth Hand? Winterlong launched her career in 1990. Today I call your attention to Wylding Hall. 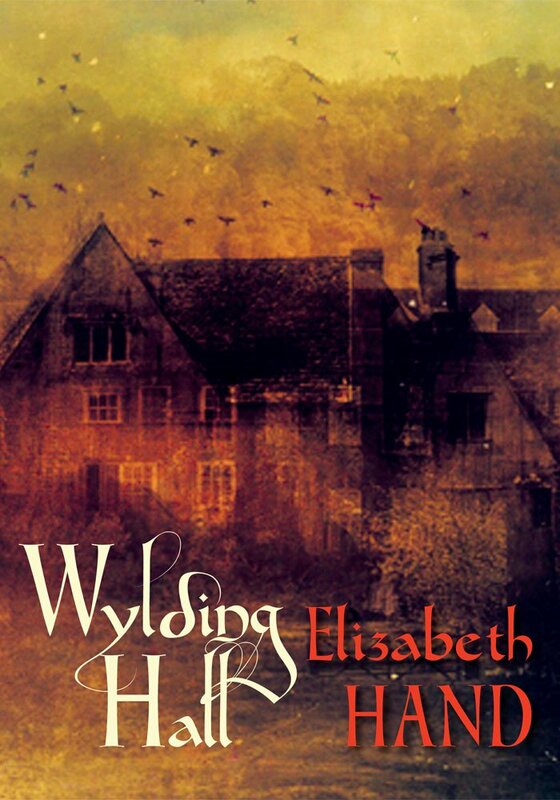 Wylding Hall is her dark fantasy/horror novel. When the young members of a British acid-folk band are compelled by their manager to record their unique music, they hole up at Wylding Hall, an ancient country house with dark secrets. 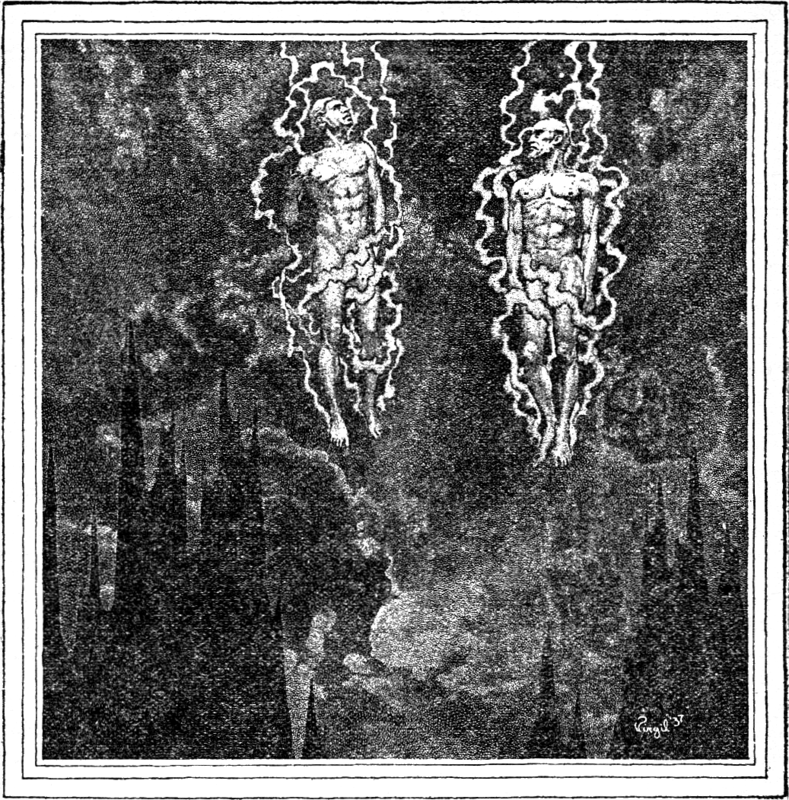 “Wylding Hall is a true surreal phantasmagoria, with music and all the accoutrements of the world of rock-and-roll set off by a wonderful admixture of the gothic supernatural. Treat it like the most exciting getaway in a truly enchanting setting.” —Chelsea Quinn Yarbro, author of Hôtel Transylvania. 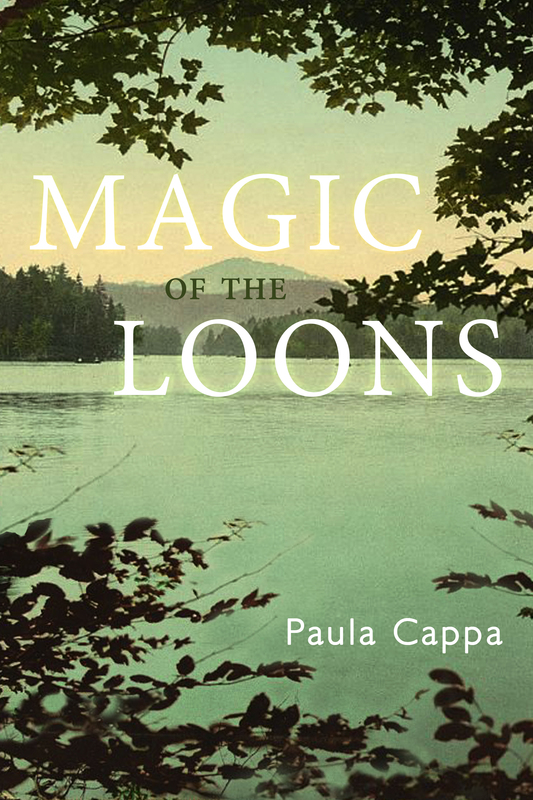 Don’t miss this interview with Hand at Maine Crime Writers. Watch for her new book Hard Light: A Cass Neary Crime Novel to be released in April 2016.